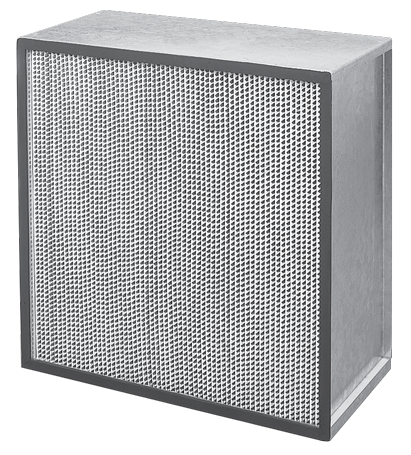 Flanders offers a complete line of Alpha Cell HEPA Filters in two efficiencies to meet the needs of critical applications where HEPA filtration is required. Individual testing, rigid quality control, and modern assembly methods are used to ensure conformance to specifications. 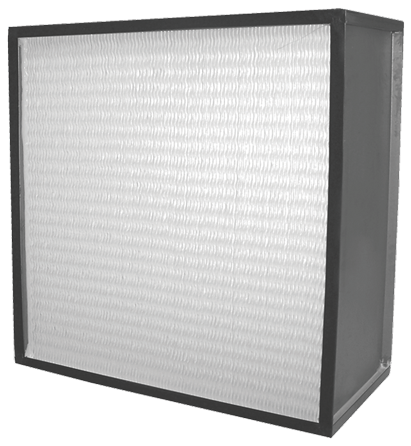 Alpha Cell HEPA and ULPA Filters are either UL 900 Class 1 or Class 2 listed. Each Alpha Cell HEPA filter has a minimum efficiency of 99,97% on 0,30-micrometer size particles when tested at rated capacity on a Q-107 penetrometer. Each scan tested Alpha Cell filter has a minimum efficiency of 99,99% on 0,30-micrometer particles. Scan testing is in accordance with Section 6.2 of IEST-RP-CC034.1, HEPA, and ULPA Filter Leak Tests. Each Alpha 2000l HEPA filter has a minimum efficiency of 99,97% on 0,30-micrometer size particles when tested at rated capacity on a Q-107 penetrometer. Each scan tested Alpha 2000 filter has a minimum efficiency of 99,99% on 0,30-micrometer particles. Scan testing is in accordance with Section 6.2 of IEST-RP-CC034.1, HEPA, and ULPA Filter Leak Tests. 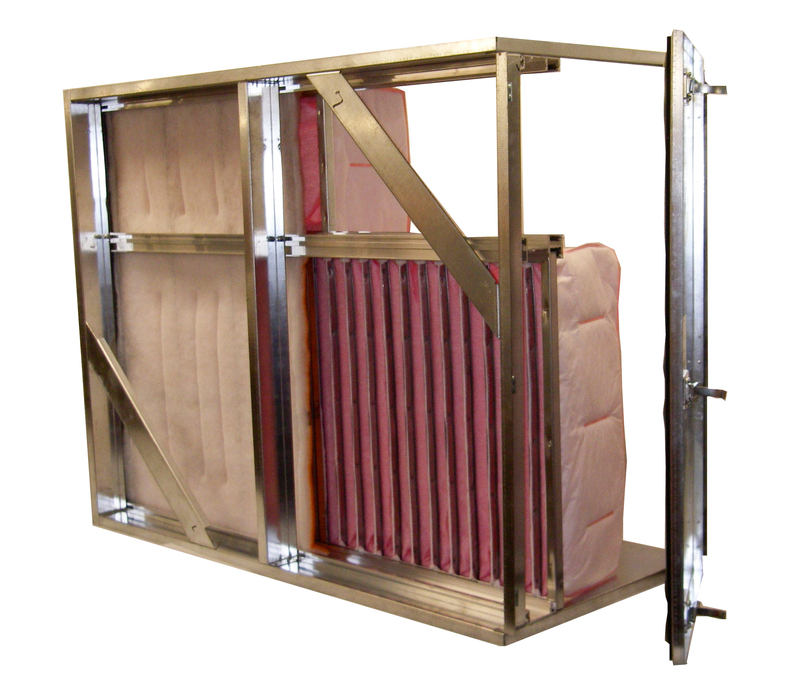 Flanders manufactures metal-frame separator-style HEPA filters for applications with high-temperature requirements up to 1,000°F (540°C) for exhaust air only and 500°F (260°C) for supply air. High-temperature filters are available with either a gasket or fluid seal. Filters with Blu-Jel® gel seal have a maximum service temperature of 390°F (199°C). Two types of sealants for high-temperature HEPA filters are offered. 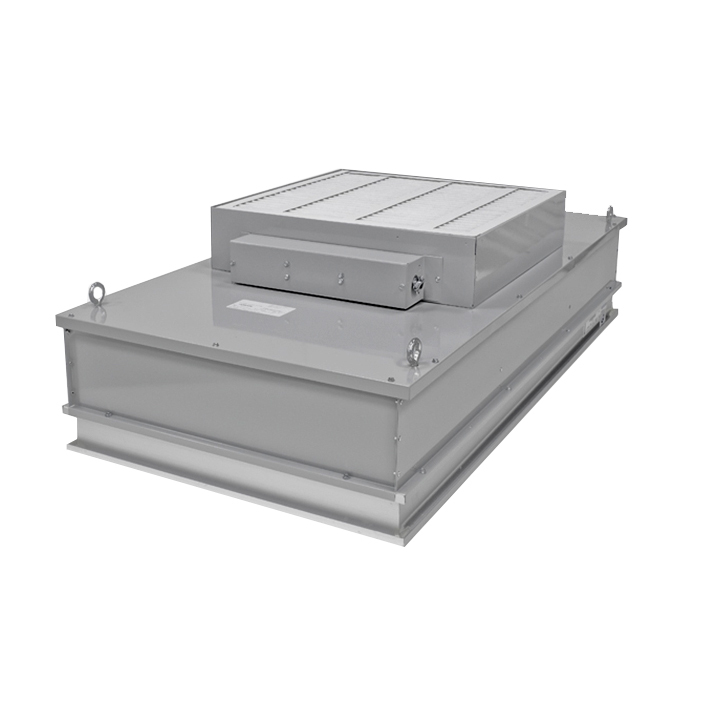 Flanders Superflow 24 is a V-bed HEPA filter (99.99% at 0.30 micrometer) specifically designed for high airflow applications requiring HEPA efficiency at an ultra low-pressure drop. The Superflow 24 can be incorporated into systems with air velocities of 600 fpm and a pressure drop of 1.0-inch w.g. • Longer Life – Gasket seal Superflow 24 filters have 400 sq. ft. of media compared to 240 sq. ft. For traditional HEPA filters. The greater media area provides a longer time period between filter replacements. • Improved Efficiency – The significant quantity of media translates into an extremely low media velocity. Therefore a minimum overall efficiency of 99.99% at 0.30 µm is easily assured. 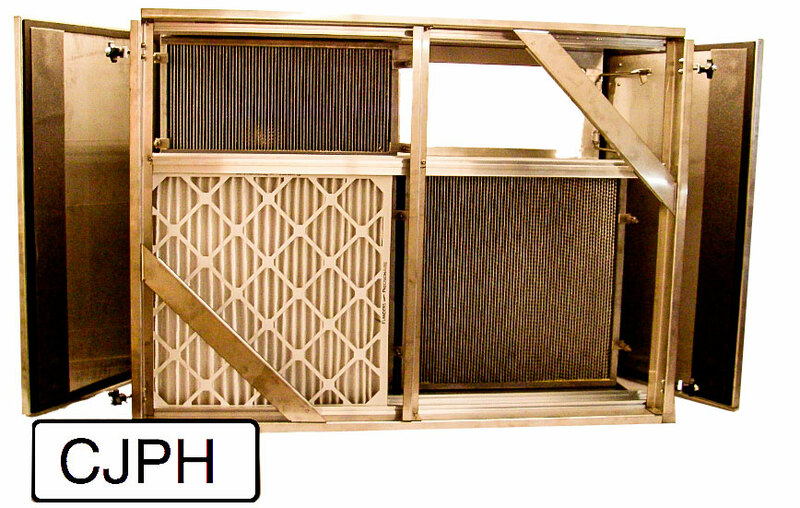 Traditional HEPA filters have an overall efficiency of 99.97% at 0.30 µm. • Lower Operating Cost – The typical HEPA filter pressure drop can range from 1.4-inch w.g. to 1.8-inch w.g. at the rated flow. The pressure drop of the Superflow 24 is 1.0-inch w.g. at the rated flow. Flanders Dimple Pleat HEPA/ULPA Filters are available with a 99,99% HEPA efficiency for 0.30-micrometer size particles and 99,9995% ULPA efficiency for 0.12-micrometer size particles. The Dimple Pleat VLSI II has a 99,99999% minimum efficiency for 0.12-micrometer size particles. 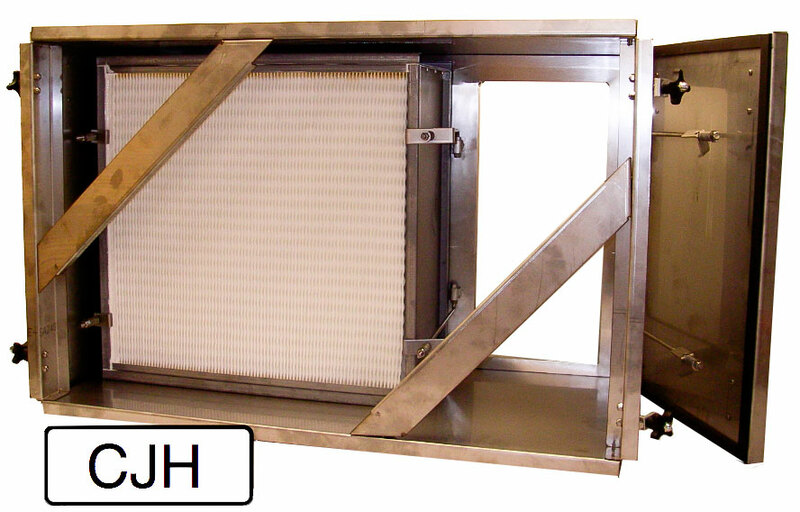 They are available in a complete range of standard frame styles, gaskets, pack depths and sizes to meet the needs of critical applications where HEPA/ULPA filtration is required. The Dimple Pleat media pack is a completely separatorless media pack and requires no glue, strings or strips of media to hold adjacent folds of media apart and gives the media pack its shape and strength. MicroPleat disposable ceiling modules from Airguard are used in clean room applications and laminar flow equipment requiring high purity air removing submicron particulate. 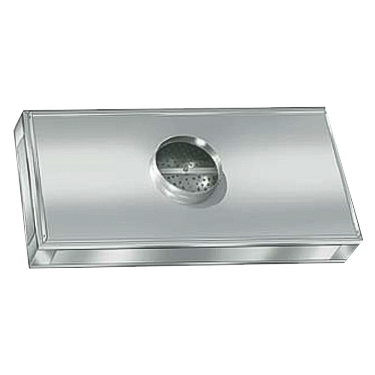 The modules are installed in T-bar ceiling grid systems with individually ducted air supply. 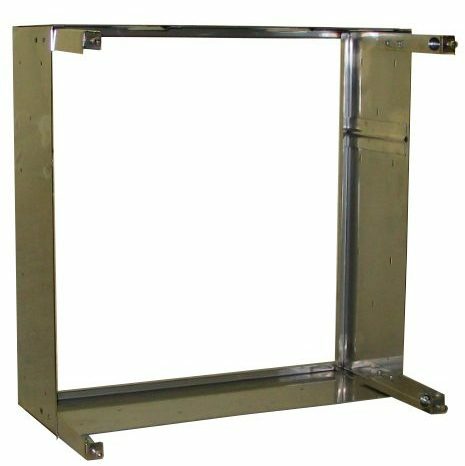 No complicated, high integrity framing systems are required. The units are very light weight and easy to install. IThey are equipped with hanger supports on the top of the housing for suspended installations. 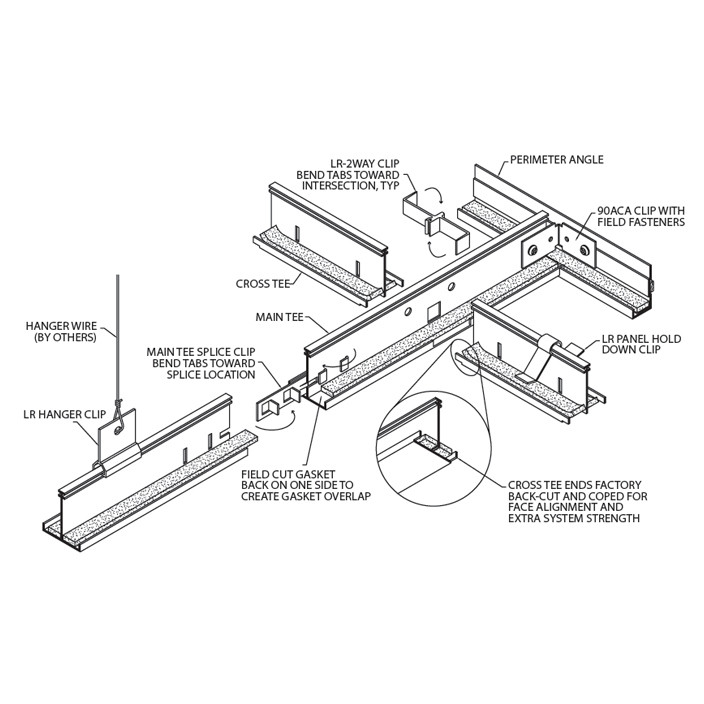 Knife edge model are available for installation in gel seal grid systems. When the maximum filter resistance is reached, the entire unit is discarded and replaced. • Nominal sizes: 24x24 and 24x48. • Actual sizes (HxWxD) : 23-5/8 x 23-5/8 x 5 and 23-5/8 x 47-5/8 x 5. • All Airguard HEPA filters are individually tested to verify that each filter shipped meets the specified efficiency. • All MicroPleat filters feature Airguard's mini-pleat media pack. Micro+Plus modules utilize a knife-edge sealing system designed to accept gel seal HEPA or ULPA filters for a leak free installation. 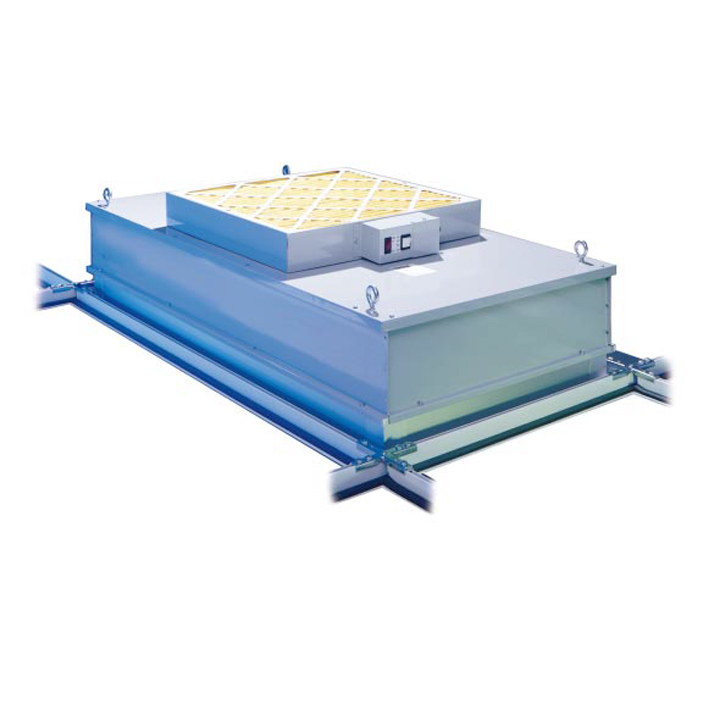 The filters can be installed, replaced and tested from inside the room without disturbing the module or ducted connection. 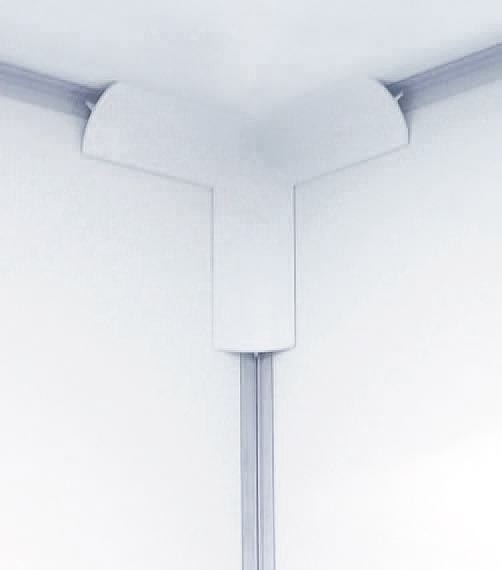 The modules are designed to fit into 1-1/2" T-bar ceiling grids allowing easy, low cost installation in new cleanrooms or to upgrade existing facilities. The filters are easily installed with a retaining system requireing no tools. Micro+Plus modules are ideal for use in Class M1 to Class M7 (Class 1 to Class 100,000) cleanrooms requiring unidirectional air flow. The automatic flow regulation compensates for the absolute filter clogging and ensures a constant air flow. • Three efficiencies 99.99% on 0.3 µm; 99.999% on 0.3 µm and 99.9995 on .12 µm. • Gel seal filter ensures a leak free, uniform seal. •The media pack is sealed with eurethane on all sides and corners to prevent leakage. • Easy to use retaining system secures filter with no tools. • Adjstable diffuser/damper provides balanced, uniform air flow. • Access ports allow adjustemts to the diffuser, measurement of resistance across the filter and injection of a test aerosol upstream of the filter – all from inside the room. installation and removal, reduces resistance. 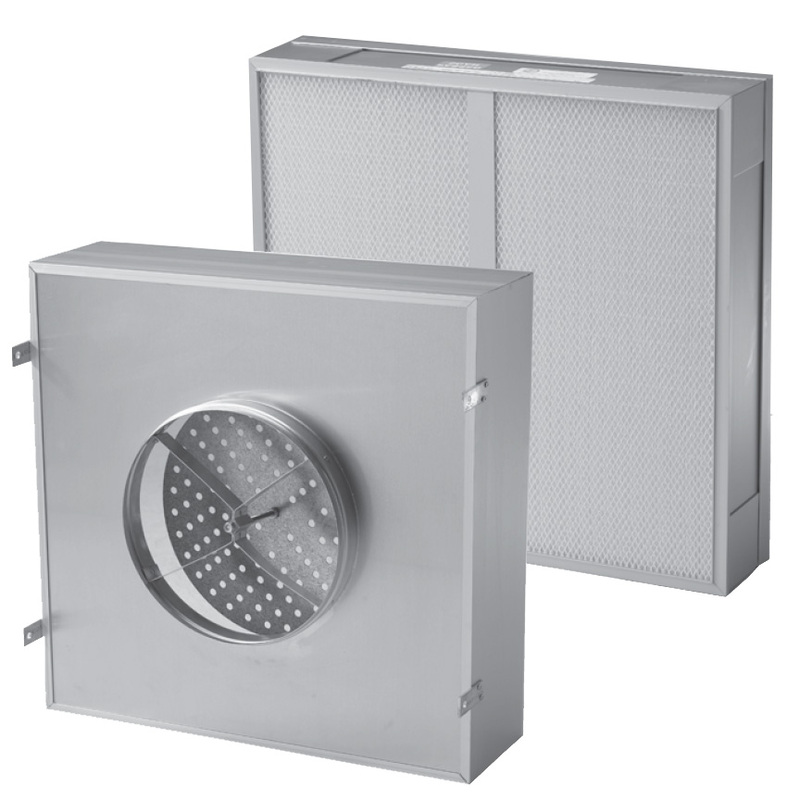 • Housings and filters are made with anodized extruded aluminum, sized to fit in 1-1/2 ‘’ T-Bar ceiling grids. • 10’’ ou 12’’ diameter collars available. The Phantom Fan Filter Unit by Gordon is the result of a 25-year evolution of FFU technology. It is designed for optimum performance and reliability, with sizes and compatibility to meet your most stringent applications. 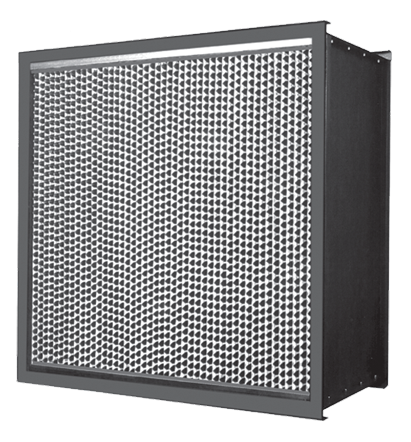 The Phantom delivers a quiet 49 dBA sound level while generating a capable, evenly distributed 90fpm air flow. Its extremely quiet operation and exceptional airflow attributes work in tandem to properly handle your cleanroom filtration needs. Quality components add reliability and value to the Phantom FFU. Plenum housing is 20-gauge steel with durable baked powdercoat finish. Motors are test-rated at 100,000 hours minimum, and feature 3-speed adjustability. Blower assembly provides the necessary power to quietly propel a high volume of air through an absorptive pathway into a HEPA or ULPA final filter. ASHRAE-rated pre-filters help give the HEPA/ULPA filters an exceptional life expectancy of over 12 years. The Phantom is UL and CUL listed, and exceeds IES RP-2 recommendations. Independent testing by a leading acoustical engineer has determined Phantom to be quieter than the competition. • Each standard Phantom operates at or below the exceptionally quiet NC-40 sound level. rated air flow rates of 90 f.p.m. • Motors are rated at 100,000 hours. • Available in 7 standard 2’ x 2, 2’ x 3’, and 2’ x 4’ sizes to fit all typical cleanroom grid modules. • Also available in various voltages for application worldwide. The ECM PHANTOM features extremely low energy usage, resulting in long-term savings during the life of your cleanroom, without sacrificing any of the sound performance or reliability of the standard PHANTOM. 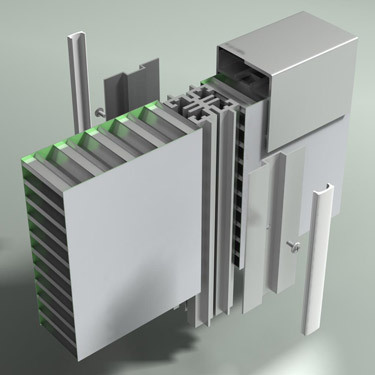 The UCR200 wall systems were engineered specifically for controlled environments and are designed to be fully compatible with each other. 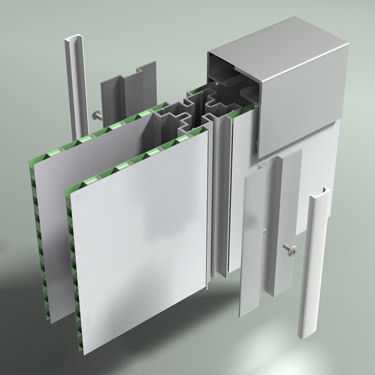 The UCR200 is a battened panel on stud aluminum honeycomb curtain wall system. The honeycomb panels are open edge panels finished with battens at the joints. All trim pieces are clear anodized and the wall panels are pre-coated in a variety of finishes including conductive, static dissipative and chemically resistant. The flexibility of the systems allows for simple installation particularly when bulkheading. Windows, return air grills, bulkheading, and integral doors are also available. We offer various glazing options for filtering U.V. and/or conductive or static dissipative glass. The system can accommodate needs up to 12'-0" high and aluminum construction permits easy field penetrations and/or modifications for process piping, bulkheading and automated material handling systems (AMHS). Features an optional integral pipe racking mounted to the backside for hanging utilities. Provides an electrical and utilities chaseway between walls maintaining a cleanroom surface on both sides. Economical two sided cleanroom finish wall with utilizing a 1.88 inch honeycomb panel. Provides a cleanroom finish over fire paper partitions, building envelopes, and liner walls. No one wants to cut corners when it comes to cleanrooms. There are however certain situations where we have no choice but to do so, for a matter of hygiene. This is where Gordon’s Cleancove system comes in to play. Simple to install, durable and compatible with Gordon ceiling systems, every Clencovve unit can be installed before and after initial construction of the cleanroom and includes an antimicrobial powder coat finish. 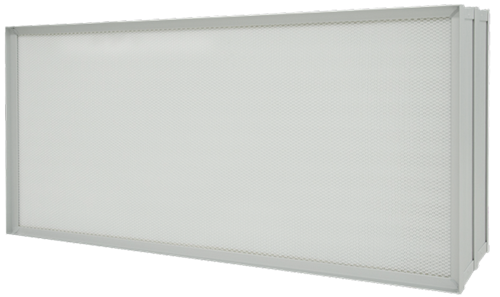 Gordon Cleanroom products model LG-15 is a 1-1/2” face ceiling grid designed to meet the exacting standards of light to intermediate duty cleanroom applications. Grid members are fabricated of extruded aluminum for maximum structural integrity and corrosion resistance, even in harsh environments. Aluminum assembly clips simplify installation and require no special tools to attach grid components. Factory-applied gaskets provide an airtight seal between cleanroom and interstitial spaces when compressed by the weight of filter modules, light fixtures and blank panels. 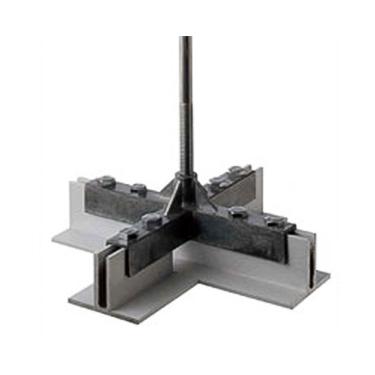 LG cleanroom grids are also available in 15/16” (LG-10) and 2” (LG-20) face widths. 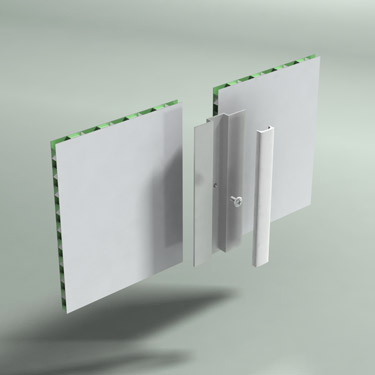 Optional hold-down clips are available to secure blank panels in the grid. Gordon Cleanroom products LR-15 ceiling system is designed primarily for use in pharmaceutical, hospital and food service cleanroom applications. 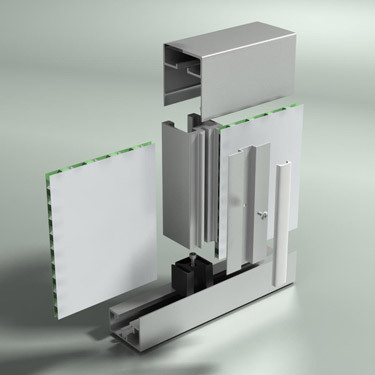 Extruded aluminum grid members have a ¼” upturned flange to provide a cleanable edge that also conceals the gasket. Blank panels, filters or other ceiling components first contact the gasket to create an airtight seal prior to settling on the tee flange. Grid components are fabricated of extruded aluminum for maximum structural integrity and corrosion resistance, even in harsh environments. 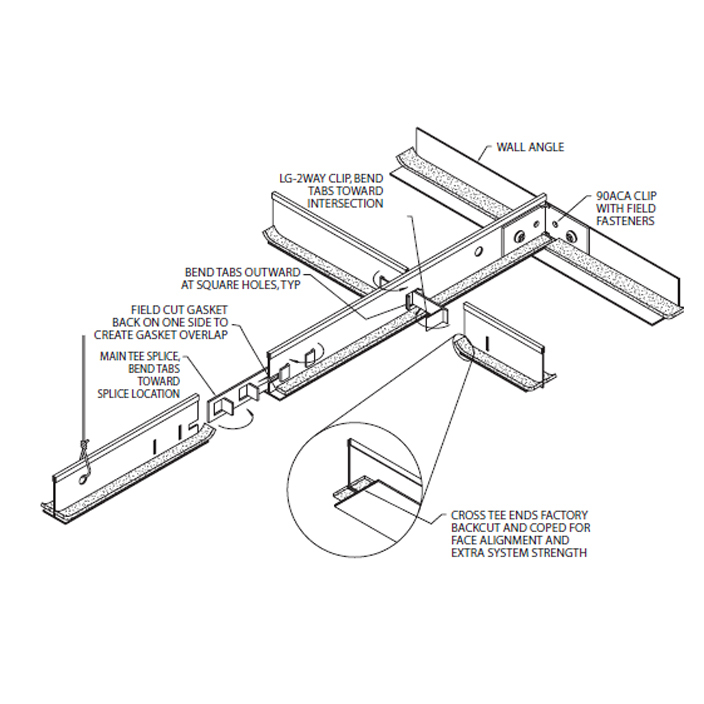 Aluminum assembly clips simplify installation and require no special tools to attach grid components. Optional hold-down clips are available to secure blank panels in the grid. Tailoring Gordon's ceiling systems to the unique requirements of your cleanroom is as easy as 1-2-3. Gordon offers the greatest number of ceiling options available, allowing you to select the ideal ceiling to match the performance requirements of your cleanroom. With its 2-inch gasket seal, DS suspended gives you the choice between 2 suspension bars. The ¼-20’s are used in applications where the level of cleanliness must reach the standard of ISO Class 6 (Class 1,000) standard, while the more robust 3/8-16’s are reserved for more extreme environments where the level of cleanliness must reach ISO Class 3 (Class 1) standard. Coving, integrated fire sprinklers, blank panels as well as hold down and suspension clips are optional. Gasket seal and gel seal versions are available..
JAS Filtration’s CJST housings are built for use of prefilters and high-efficiency final filters. They are made of 16 gauge galvanized steel with vertical support columns and reinforced with corner gussets. Doors come with gaskets inside and quick action pressure retainers. Housings are sealed by applying a sealer where two metal surfaces are touching. Filter tightness is assured are by the use of extruded aluminum rails combined with positive seal woven nylon pile on the inside vertical flange. • Made standard with 16 gauge galvanized steel, also available in T-304 stainless steel or aluminum. • Constructed of 16-gauge galvanized steel. • Mechanically controlled production guarantees flush mitered/welded corners. • Sheared frame edges are deburred prior to assembly. CJH housings made by JAS Filtration are built to meet the most stringent standards. They are made of 14 gauge galvanized steel with vertical support columns and reinforced with corner gussets. Each HEPA frame is built of extruded architectural aluminum tubing procuring a plane surface for a better seal with the filter. 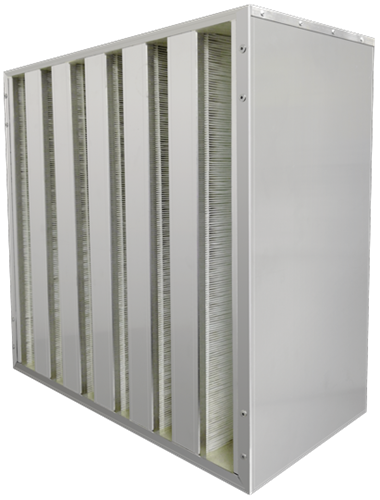 The HEPA filter’s clamping frame is made with extruded, welded, grindedand polished architectural aluminum, therefore assuring the most impermeable assembly in the industry.